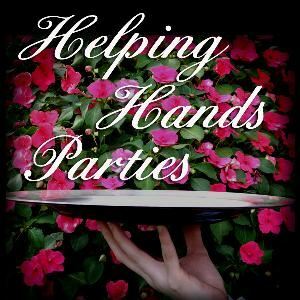 Helping Hand Parties is available to send from one helper to a team to assist with everything from setup and serving to helping with tear down and cleanup for your wedding, event, or party. For corporate events, we can send staff for greeters, or manning registration or event booths. For weddings, we offer all levels of Wedding Coordinating. You imagine and plan for the perfect wedding, now let us oversee your wedding and reception so you can just relax and enjoy your very special day. Partial planning, day of and full planning is available. We also have staff for help with setup, serving, tear down, and cleanup.